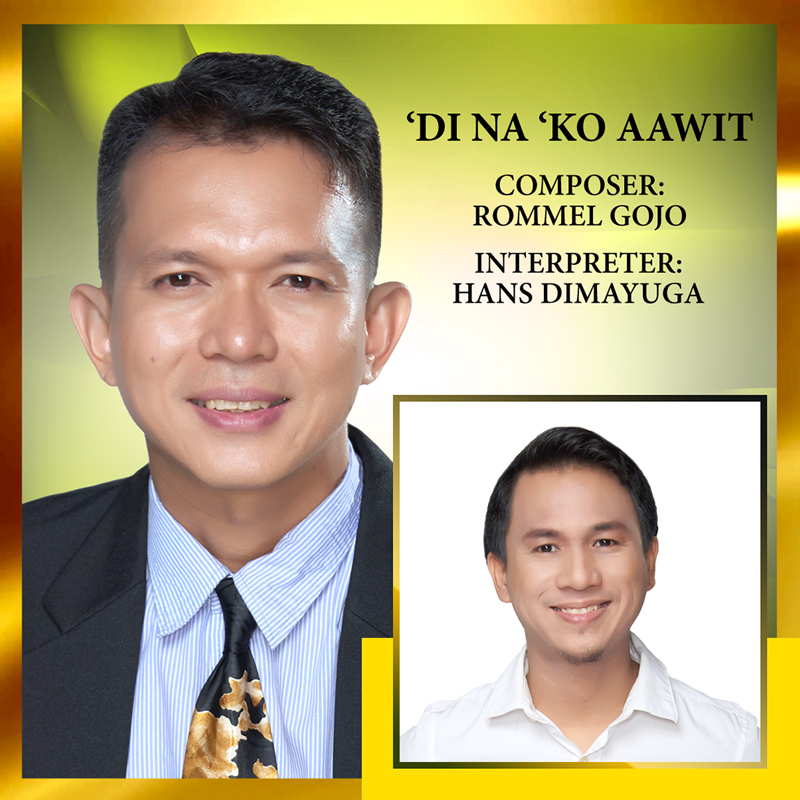 From lessons of love and loss, Rommel Gojo returns to music with an original gospel composition entitled “Di Na ‘Ko Aawit”. After the death of his wife last year, he thought of giving up on singing and writing songs, feeling all inspiration leaving him. But when he finally learned the lessons of love and loss and God’s unconditional love, he turned to his passion for music, delving into the solace of gospel songwriting. Sharing an unusual take on praise and worship, the gospel composition was his second entry following his composition “Awit Ng Mga Awit” for ASOP Year 2. “After realizing that the Lord is the One who really gives you the reason to continue every day of your life and for you to realize that even though things happen in our lives that we don’t understand why only God’s love remains constant. That is what I am holding onto and that is why I was able to write this song,” Gojo shared. Overcoming his grief through gospel music, he knew deep in his heart, God’s promises remained. Soul-indie singer-songwriter Hans Dimayuga is set to interpret the gospel song. Composer : Emmanuel Lipio Jr.